One of the most important challenges teachers face is making sure children can read. It is an absolutely crucial skill, and current educational policy is giving it a very high priority. 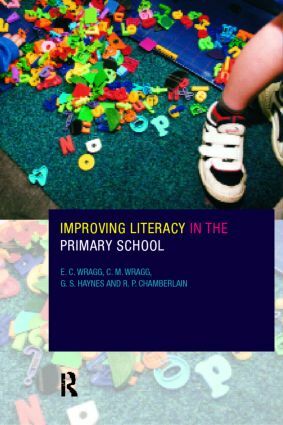 Based on one of the largest studies ever undertaken of what primary schools do to improve literacy, this book reports what Professor Ted Wragg and his research team found. The importance placed on literacy has never been greater. When children learn to read, they are laying the foundations for their entire educational future. Effective teachers can make a huge difference, as a poor start can hinder children throughout their schooling and beyond. By looking at what actually goes on in classrooms, this volume provides an invaluable insight into what happens to children and how their reading progresses. It shows how particular teachers manage the improvement of their pupils' reading levels, and also follows individual pupils through a school year. This is a very readbale account of a fascinating and crucial area of research that is highly topical. Every class teacher should read it.